Living sustainably has become more common for people by making simple changes in their everyday lives such as reducing energy and water usage, recycling and reusing materials, as well as eating locally are all ways to help out our planet, but we can’t forget about the changes that are to come which involve sustainable architecture. On today’s episode, I’ll be sharing some architectural shifts that we can look forward thanks to living sustainably. While sustainable architecture may seem like a current trend, it has been done for centuries and many civilizations before us. Using natural energy and local materials were a few of the only ways to build prior to our technological advances. Some of the first refrigerators were made by using the earth’s natural elements to create wind catchers which regulated and maintained the temperatures inside homes. This also kept the structure’s lower levels cooler which served to store things needed to be refrigerated. More recently, Frank Lloyd Wright, a famous architect in the early 20th century, stood up for nature by suggesting that people work with nature instead of working against it. One of his recommendations was “cluster development” which meant grouping the world’s living centers together to leave as much of the earth as undisturbed as we could. Today, there are efforts to continue to reduction of damage that has been done and is currently being done to your earth. Leadership in Energy and Environmental Design or LEED, is one of the world’s most popular green building certification programs. It was developed by the non-profit United States Green Building Council and it includes a set of rating systems for the design, construction, operations and maintenance of green buildings, homes and neighborhoods. LEED aims to help building and home owners operate in more environmentally friendly, responsible and efficient ways. While there are still some instances in which homes and buildings aren’t built sustainably, when looking at the bigger picture — sustainability is moving forward and becoming more and more common. Some of those very homes and buildings have opted for making use of a green-roofs and green walls. A green roof consists of an extension of the current roof which features a water-proofing, root repellent and draining system, filter cloths and of course, some serious greenery. While each instillation is unique to the company making the conversion — the benefits remain the same. Some of the benefits green roofs have for the public include the diversion of waste, the management of stormwater, improved air quality, local job creation and new amenity spaces. Green roofs help divert the landfill waste by using recycled materials while the building and growing the green roof. It also prolongs the life of ventilation and heating systems through the buildings due to the decrease in it’s usage. When it comes to managing stormwater, when having a green roof — the water is absorbed by the plants where it is then returned to the earth through evaporation. During the summertime, green roofs retain 70-90% of precipitation that falls on them. When it comes to the runoff of stormwater that’s captured, it delays the time in which it all occurs, allowing severe systems to to not overflow. Plants also act as air filters for us, which can help capture and reduce the pollution and gases that can be found in the air around us. Let’s not forget the gorgeous roof gardens that are also able to exist because of green roofing and the jobs that it creates for locals who can and would like to tend the garden. Places like New York City have adopted green roofing and have created local farms on rooftops in Queens and in Brooklyn. When it comes to green walls, the process and end product look a little differently. Green walls feature vines or climbing plants which are placed on the sides of structures which are usually rooted at the base of the building structure. It might take a bit longer to achieve the the full look of your green wall, however the benefits outweigh the weighting time. Aside from aesthetic improvement, green walls provide many of the same benefits as green roofs and they also reduce the amount of heat that is absorbed through buildings in urban settings and improves energy efficiency because of this. Most wall temperatures can be reduced from 50-140°F to 41-86°F. This reduces the amount of energy that is used through air conditioners. People are not only replacing their rooftops with greenery, they are also finding replacements for concrete to build structures. Concrete makes up a lot of what’s around us, like our bridges, our sidewalks and our buildings, however concrete has had some negative effects on our environment. The rise of the cement industry has also produced carbon dioxide — a strong greenhouse gas. While concrete keeps our driving steady and makes our walks a little less bumpy, having concrete on the earth creates damage to our earth’s most fertile layer — the topsoil. 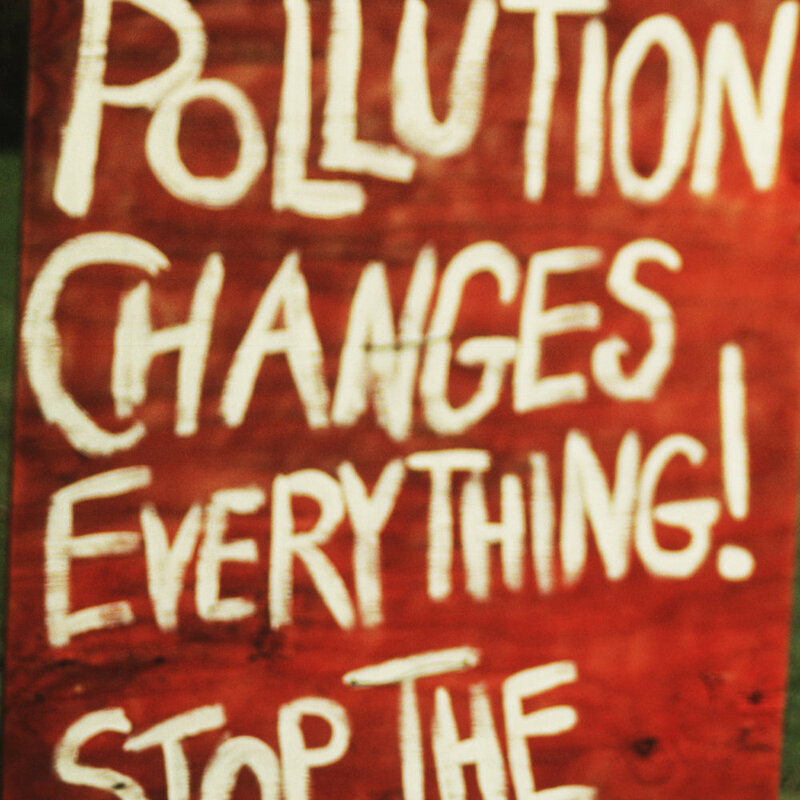 The destruction of concrete also contributes negatively to our planet by adding pollution into our air. Nonetheless, concrete isn’t the only material that can be used for building — materials such as hempcrete, bamboo, recycled plastic and wood can also be used. Materials like hempcrete help sustainable living and sustainable architecture by using a concrete-like material that’s created from the inner fibers of the hemp plant. The fibers of the plant create a concrete-like shape which are both light and strong and they reduce in energy usage by decreasing the energy it takes to transport blocks. It also uses Frank Lloyd Wright’s suggestion of using what’s around us and working with our environment as opposed to working against it. Other materials such as bamboo and wood are as beneficial as hempcrete, especially considering how quickly they grow and how much of a renewable source they are. When it comes to using recycled plastic to build homes and structures, it minimizes greenhouse gas emissions and it provides an entirely new use for the large amount of plastic waste that may otherwise just sit and crowd the planet. Another way to build sustainably is possible only due to our technological advances — welcome to the Jetsons’ era in which we can now build homes with a 3D home printer. ICON has developed a method for printing a 650-square-foot house in 12-24 hours. The concept came from the 1.2 billion people around the world that lives without adequate shelter. One of ICON’s three founders, Jason Ballard, also runs Treehouse, a company that focuses on sustainable home upgrades so he knows a thing or two about living sustainably. ICON uses the Vulcan printer to build the 650-square-foot homes, but it is also capable of building 800-square-foot homes which can be a great thing for the tiny house industry. With the growth of the tiny house industry, it also brings us back to Frank Lloyd Wright, by making it possible to cluster develop homes to leave more room on the planet to let it flourish in the ways it knows best. ICON has begun building hoes in countries like Haiti, El Salvador and Bolivia. They also hope to expand to El Salvador and hopefully build homes in the United States as well. Currently the cost is $10,000 per home, however, they are trying to reduce the cost $4,000, which is significantly less than the typical American home. Another option for ICON is building living spaces off our planet, another very futuristic and ambitious way to preserve the planet. While the idea of it may seem far-fetched, Ballard mentioned that to create habitats in space would be less possible if done by using “screws and two by fours,” however, this technology makes it a potential option for the future of not only the planet, but the universe. The future of home-building, sustainable living and sustainable architecture looks very bright with available options such as 3D home printing which can be done in 12-24 hours, concrete substitutes such as hempcrete, bamboo, wood and recycled plastic that help reduce greenhouse gas and provide the same support as cement, and green roofs and walls that help our air quality, food production and the unemployment rate. As we continue to use these methods of sustainable living, we continue to reduce our carbon footprint on the earth and while we all enjoy being memorable, being remembered by the great we’ve done to the planet would be much better than being remembered for the damage we’ve done to the earth over the years.